Yesterday afternoon we held the first OU Creaties award luncheon, which was a ton of fun. As I wrote a couple weeks ago, it’s great to get to celebrate the work of your community. 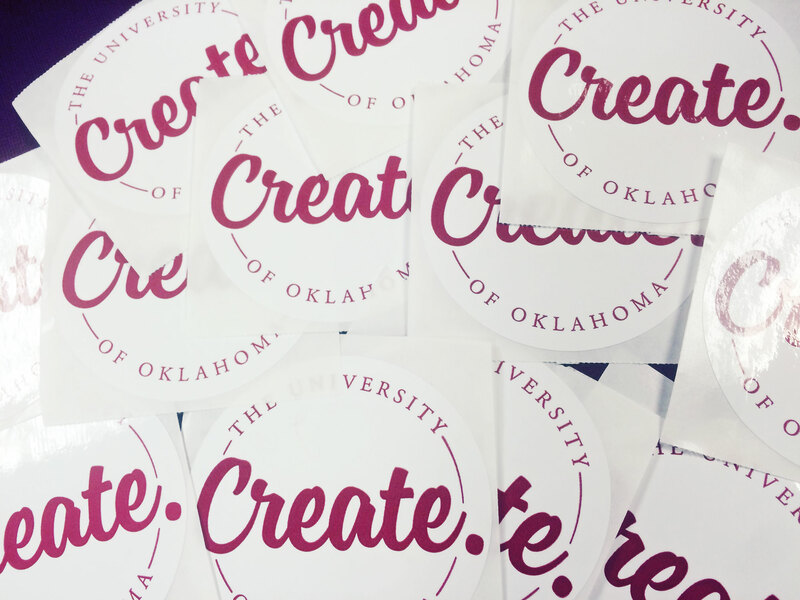 We wanted to simply have a way to acknowledge and showcase the work that has taken place at the OU since we started our domain of one’s own project, OU Create, via Reclaim Hosting, and I think it’s safe to say we accomplished that. One of Anoop’s ideas was to ditch the regular ol’ engraved acryllic plaque and go with engraved bamboo. I really think these matched the sort of maker aesthetic of Create and were a really nice touch. There will also be digital awards. John Stewart is taking the lead on issues some digital badges via Credly that users can throw on their blog sidebars if they wish. This takes me back to the golden age of the web where it seemed like everyone had received some award that show their community. Or site rings–just give me site rings! We were able to kick it off with Provost Kyle Harper (who runs the HIGHLY acclaimed kyleharper.net and originsofchristianity.net). I was able to brag a little on him noting that OU Create exists only because of his support. He had an idea for e-portfolios and Mark Morvant and I were able to run with it. It means a lot to me that we have the level of support we do from the Provost level and having him give opening remarks was a very fitting way to start. OU Create isn’t a system where technology “does things” to the student. Students independently build because of the technology. There’s a fundamental difference. In this space, knowledge isn’t simply being “transmitted” to the student, but students are constructing their own knowledge. And the site is simply the phyiscal manifestation. Of process as much as product. Last, we’ve launch a new front page for the Creaties which shows and links to all the finalists and winners. Hopefully this can be a resource for other universities who need examples of the various roles domains can play at their institution. Bragging tends be incredibly self-serving but it’s that time of the year again where I start to feel sentimental so I am totally ok with doing it today. I love the community I’m a part of. It’s one where I can brag on my team members (like Anoop), my administration (like Provost Harper), and, most importantly, the OU Create users who push this technology way beyond how I would ever think of using it. I strongly suggest you browse the work for the finalists and winners. We’ve got it good on the prairie!